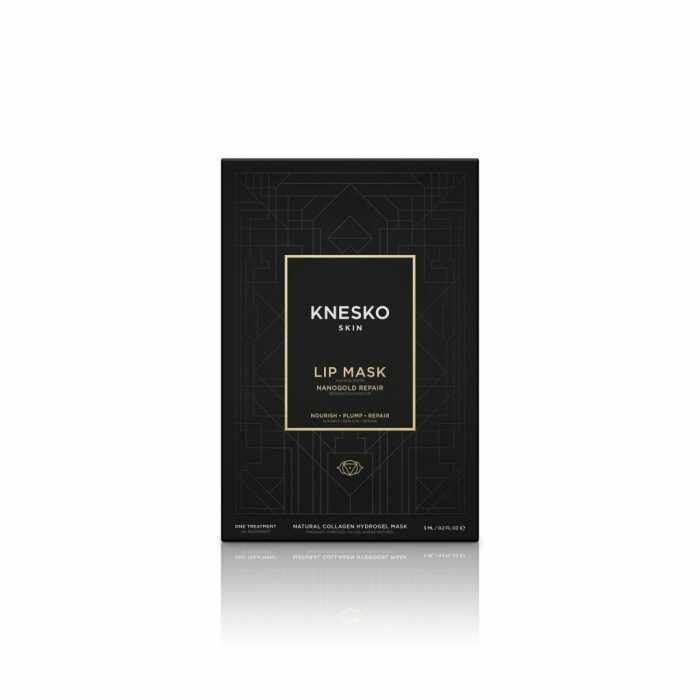 Replenish your lips and awaken your Third Eye Chakra for enhanced confidence and serenity with the help of a single-treatment Gold Lip Mask from KNESKO. Formulated under a team of doctors, our Nano Gold Repair Lip Mask wields gold’s unsurpassed spiritual power to rejuvenate your lips, relax your mind and rebalance your spirit. A luxurious marriage of the latest Hydrogel skin care technology and spirituality, a single treatment is a beautiful gift to yourself or a friend. Perfect when you’re traveling for work or play! 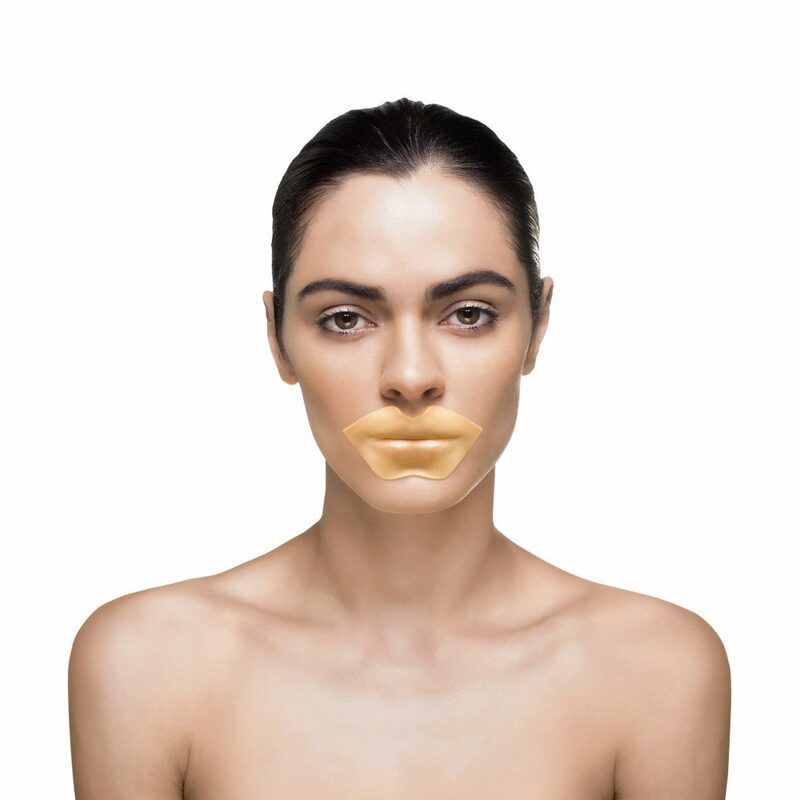 Banish dry, chapped lips, wrinkles and fine lines with the help of our Gold Collagen Lip Mask, which utilizes potent polypeptides to deliver age-defying nutrients and colloidal gold nanoparticles deep into your skin. The result? Plump, more youthful-looking lips! A single treatment provides a plentiful amount of GEMCLINICAL™ serum to treat not only your lips, but also to liberally apply to your face, neck and décolleté for maximum skin revitalization. Natural healing ingredients abound in our masks, such as marine collagen, hyaluronic acid for hydration and niacinamide (Vitamin B3) for enhanced color and luster. Gold has long been associated with the Third Eye Chakra, your spiritual center of intuition and imagination. KNESKO’s gold lip mask is designed to open and strengthen your Third Eye, helping you to clear negativity, ease inner tension and release your natural creative impulses. Restore the fullness of your lips and awaken the Universal Life Force Energy of Reiki that is already within you. Embrace your personal truth with a Nano Gold Repair Lip Mask, part of our innovative Gold Collection product line. Enjoy a single treatment today! Developed under a team of doctors, the Nano Gold Repair Collagen Mask Collection uses GEMCLINICAL® technology which blends the special properties of precious minerals and gemstones with proprietary skincare formulas packed with active and clean ingredients, which are designed for maximum absorption and delivery of nutrients into the skin. Thus allowing for superb anti-aging skin care results.